The Neuropaediatric Service offers an integral, multidisciplinary treatment that adapts to the needs of each child. Consisting of specific units, highly specialised in the evaluation and diagnosis of difficulties that may be found in a child from birth through to the age of 21 and in providing care for their families, it is made up of professionals who are points of reference in their respective work areas and has a large therapeutic team that adapts rehabilitating treatment to the lines jointly established by the medical team. This service provides comprehensive care to children and adolescents (under 19 years of age) and works in continuous collaboration with the family, teachers and school guidance team. The multidisciplinary team is made up of professionals specialising in three basic age groups: up to 6 years of age, 6-12 years of age and 12-16 years of age. We offer a comprehensive response to the needs of children, teenagers and their families in the field of health and learning. Professionals specialising in the assessment and treatment of children with developmental difficulties, behavioural disorders and/or learning difficulties. 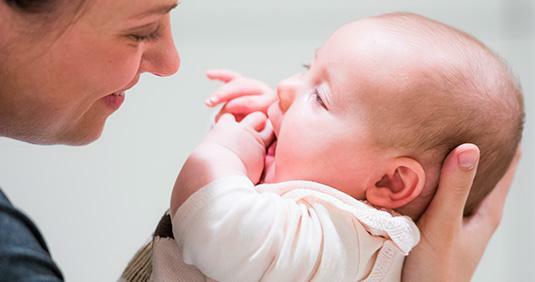 The paediatric neurosurgery service has top-level professionals who work to offer a response to all the neurosurgical needs of neonates, children and adolescents, such as craniosynostosis, epilepsy surgery or surgery for movement disorders. We have opened new, modern 250 m2 facilities at number 31-33 Calle Castellnou, in the Corachan Campus, designed and reformed with the latest trends in healthy materials and universal accessibility with which we are reforming our clinic, that transmit our values and offer optimal conditions for providing advanced medical services that respect people.